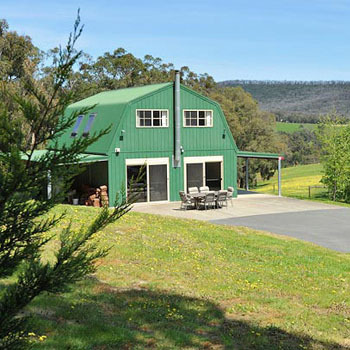 Less than five minutes drive from Healesville, The Barn at Charlotte’s Hill is the ideal family and group accommodation around Healesville Yarra Valley region. Situated on a property of 22 Acres, overlooking Healesville’s Yarra Ranges and beautiful farm land.Located just 3 mins drive away is the RACV Club and numerous restaurants and wineries. The Barn at Charlotte’s Hill Yarra Valley Accommodation is the ideal base for groups up to 10 adults for winery weekend getaways or wedding groups going to venues such as Stones of the Yarra Valley Rochford Wines or DeBortolis. Only 5 minutes to the fabulous Zonzo restaurant and the very popular Yarra Valley Chocolaterie. 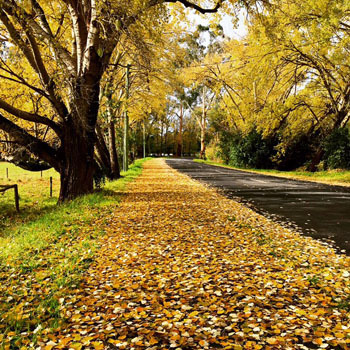 The Barn@CharlottesHill is at 53 Lowes rd Chum Creek.From Healeville take the Healesville -KInglake rd (Chum Creek rd) for 4kms.Lowes rd is located on the right hand side.Follow Lowes rd for 500mtr and the Barn is the first driveway on the left. Linen – All linen is provided. Internet– A free wi-fi allowance is given to each booking,this is sufficient for general internet use i.e emails and general surfing of the web.Downloading images and video content will exhaust this allowance very quickly.Each internet credit required is at a charge of $30. No Pets Allowed. – As we have farm animals and local kangaroos no pets are accepted. Extra Persons : The Barn can cater for extra 3 adults or children on fold out beds.Each extra adult is $60 per-night or $120 per-weekend.Children under 12 yrs are $30 per-night.Extra charges include bedding and linen. Porta-Cots and High Chairs are available for $15 per-stay. No refund on cancellations within 30 days of booked date.50% Refund on cancellations greater than 31 days from stay date.Payment in full at time of booking. Check- Out : 10.00 am. All booking and cancellation conditions are at the discretion of management. Booking confirmation is deemed as acceptance of all conditions. Extra Cleaning Fees : A minimum charge of $150 is automatically payable if extra / excessive cleaning is required. 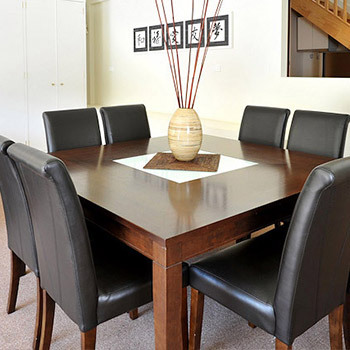 ** please note : Charges for staining damage, excess rubbish removal or hire of extra cleaning staff if required, are all payable at the excess cleaning rate. Credit Card Payment: (Security) Credit card details will be kept as security until post stay inspection has been done.Acceptance of these conditions will be deemed done once booking has been confirmed.